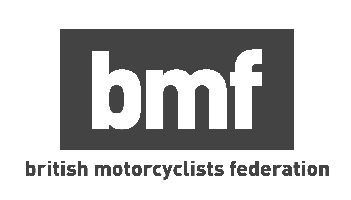 Taking your CBT test in Lewisham is the first step to getting out on the UK’s roads on two wheels, and if you’re a little wary of completing your CBT in Central London, Lewisham could provide the perfect compromise. Located just south of Greenwich, the roads in and around Lewisham are quieter than those in central London, which will make the road riding portion of your CBT test much easier and less stressful, but won’t leave you totally unprepared for riding in London. If you want to take your CBT test in Lewisham, LMRT is the closest training centre, located at Napier House, just a short walk north of Grove Park station. As well as the roads around Lewisham being quieter than central London, they are also varied, so provide good exposure to new riders. Further south, Phoenix Motorcycle Training in Crystal Palace, were the first school in the UK to be approved to MCIAC gold standard. You won’t find the same level of expertise or training anywhere around Lewisham. Phoenix will provide you with a jacket, boots, gloves and a helmet for your CBT, and they even have an on-site cafe incase you get peckish throughout the day. If you’re from a little further afield, RideTe also have CBT test centres in Sidcup, Orpington and Croydon. Compulsory Basic Training is the most basic level of motorcycle training you can receive before legally riding on the road in the UK. Any UK citizen from the age of 16 who holds a provisional or full licence can take their CBT, and you don’t need to have any previous experience riding a motorcycle or scooter. Unlike a full car or motorcycle test, a CBT only takes one day, and there is no test at the end. If your instructor is happy you have shown a good level of riding, you will be awarded with a certificate which will permit you to ride any motorcycle or scooter upto 125cc (or 50cc if you’re 16) for two years. If at the end of the two years you wish to continue riding without stepping up to a full motorcycle licence, you must retake the CBT. Your CBT will be split into 5 parts. The initial section you’ll be in the classroom, where your instructor will take you through the basics of handling a motorcycle, as well as basic highway code and road safety. From there, you’ll head outside and get the chance to put everything you previously learnt into practice. You’ll focus on controlling your machine around a series of courses. Once your instructor is happy you can handle your motorcycle or scooter it’s time for the final part of the day. The final part of the day will see you head out onto the open road with your instructor and another student. You will take turns riding at the front, so the instructor can assess you both. Once the ride is up you’ll receive your CBT certificate and will be able to head out on the road on your own!